Basingstoke, United Kingdom, 26-Jan-2018 — /EPR EDUCATION NEWS/ — Selectec are delighted to announce that they will be supporting Foldr at Bett 2018, in their new role as Foldr’s worldwide master distributor. This increased level of partnership has been established to recognise the close relationship that Selectec and Foldr have developed while working together through 2017, one that has delivered a number of very successful Foldr implementations for customers in both education and commercial sectors. 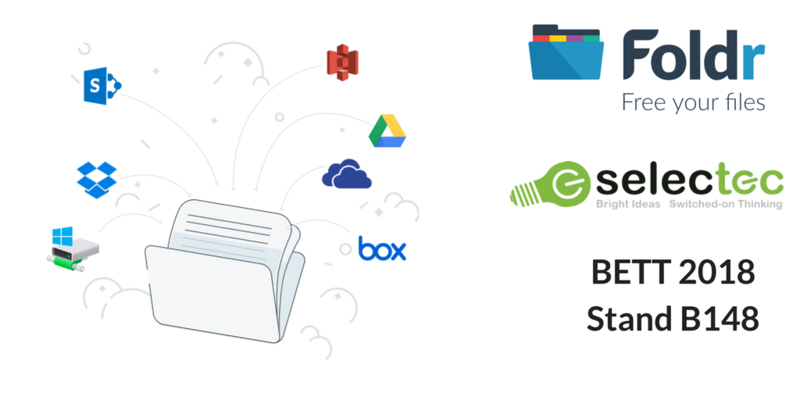 Bett 2018 will provide Selectec and Foldr the opportunity to demonstrate how Foldr can simplify the increasingly complicated process of document management in schools, colleges and universities. Selectec bring a wealth of expertise in optimising processes throughout the document lifecycle, so Foldr is a natural component of their portfolio, and will enable their resellers to provide an extended document management solution to their customers. 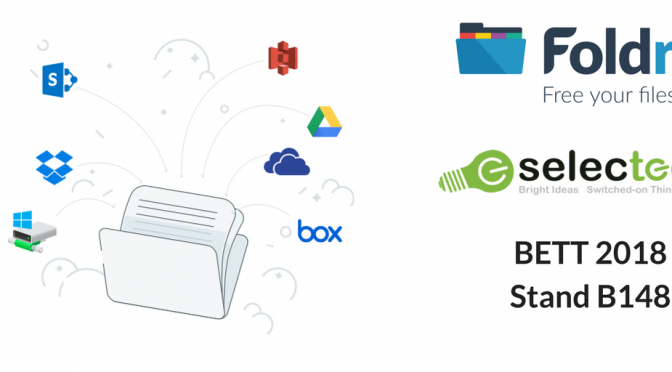 By centralising access to multiple cloud, on-premise and home storage solutions, students, teachers and the wider school community, can manage homework, projects and admin documents, in a much easier way, while maintaining the same high levels of security. “ We are looking forward to supporting Foldr at Bett 2018, and sharing how our solutions can help bring greater efficiencies and ease of use to all stages of the document lifecycle. The show has an exciting line-up and it is the perfect place to showcase the unique technology that Foldr has to offer.” Stephen Hart, Sales Director, Selectec. Denver, CO, Mar-21-2017 — /EPR EDUCATION NEWS/ — National literacy nonprofit Book Trust announces the establishment of an Academic Advisory Board, formed to ensure that ongoing enhancements and expansion of its national literacy program are informed by the latest research and best practices in literacy education. Members of the Book Trust Advisory Board include several nationally recognized leaders in the field. Book Trust Advisory Board members include Nell Duke, Professor in Literacy, Language and Culture and and in the Combined Program in Education and Psychology, the University of Michigan, KaiLonnie Dunsmore, Principal Research Scientist, NROC at the University of Chicago, Linda Gambrell, Distinguished Professor of Education, Clemson University, Ernest Morrell, Macy Professor of English Education and Director of the Institute for Urban and Minority Education, Teachers College, Columbia University, D. Ray Ruetzel, Dean College of Education, University of Wyoming, and facilitator Darren Cambridge, President of Cambridge Learning Group. Members of the advisory group will convene twice a year and will also be available informally as needed to make recommendations to the Book Trust team. Each member will serve a one-year, renewable term. 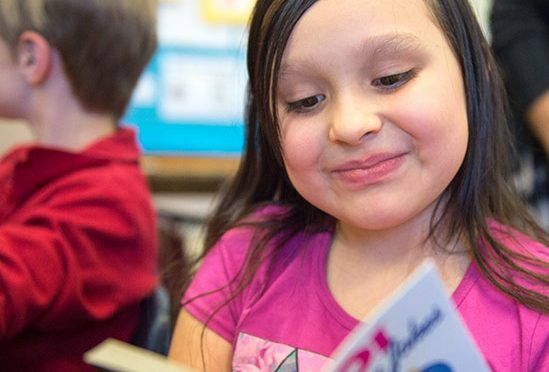 “Book Trust’s program is innovative and robust, and as they continue to expand nationally, folding the latest research into their program strategy will help them continue to deliver impact and value to students. I am pleased to be invited to help in this role,” says Nell Duke, whose work focuses on early literacy development, particularly among children living in poverty. Book Trust is a national 501(c)(3) nonprofit organization whose mission is to empower children from low-income families to choose and own books, inspiring a passion for reading that leads to cultivating increased literacy skills and life-long learning. Book Trust currently serves 50,000 students in 19 U.S. states. Since 2001, Book Trust has facilitated over 6 million book choices, and placed them in the hands of students in need. MATTHEWS, North Carolina, Mar-01-2017 — /EPR EDUCATION NEWS/ — The Hose Company has announced a new $1,000 education scholarship. The Hydrauli-flex Scholarship is designed to assist students in their last year of study, in any field that will utilize hydraulic technology. While the world of hydraulics may not seem as glamorous as other scientific or mechanical pursuits we agree with Mike Rowe, from Discovery Channel’s Dirty Jobs “there’s still a thing called opportunity, and that is what students need to pursue.” Our scholarship supports students in the pursuit of opportunity. The scholarship is valued at $1,000 and will be awarded to the winning student based on their essay submission, experience in the field of hydraulics, and recommendations from work, Co-Op, and community sources. The scholarship will be awarded without regard to financial circumstances. However, women in the field, and US Veterans will be given priority. Students who are US citizens, or in possession of a current student visa, in good academic standing (3.0 or above) in their final year of degree completion at a public or private, 4-year institution, and in a discipline that would utilize hydraulics are eligible for the scholarship. The deadline for applications is June 30, 2017 with the award to be announced by July 30, 2017. The $1,000 scholarship will be sent directly to the financial office of the attended institution. Clifton Park, New York, September 29, 2016 — /EPR EDUCATION NEWS/ — PreK12 Plaza, a social impact enterprise working to ignite the genius in every child, today announced the launch of an updated bilingual math game app, Mad Minute Plaza for ages 6 and up. “PreK12 Plaza is a comprehensive education platform and Mad Minute Plaza is one of multiple app offerings created by our outstanding team of developers and certified teachers to help students achieve their potential while making minute math fun,” said Ana Roca Castro, Founder and CEO of PreK12 Plaza. Mad Minute Plaza works to improve math fluency. Research has demonstrated that the ability for students to respond automatically frees up cognitive resources that can be applied to more complex computation and concepts. 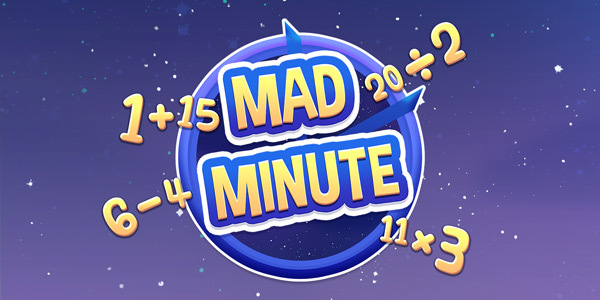 Mad Minute Plaza is a free app, available in English and Spanish, that provides students with the opportunity to respond to different level math quizzes for one minute – zapping as many space germs in the process. The game includes addition, subtraction, multiplication and division and more than 400 calculations. The app is available for free at iTunes; Google Play and Amazon Marketplace. Additional information is available at www.prek12plaza.com/madminute. PreK12 Plaza is a digital education platform created to ignite the genius in every child. It is the first multicultural education platform that provides culturally relevant Math and Language Arts resources combined with research-based didactic approach and state of the art parent engagement tools in eight languages. Distance learning providers could be well placed to capitalise on the furore surrounding many universities plans to increase course fees to the maximum level. Established distance learning companies such as the Interactive Design Institute have remained unaffected by the scrabble to establish record levels of tuition fees across the UK’s higher education sector. “The cost of providing higher education courses need not be prohibitive” according to Michael Stewart, director at IDI, “Distance learning providers are able to deliver the same courses with the same high levels of student support but at a fraction of the cost”. Currently, universities in Wales are desperately revising their proposals to charge student tuition fees of up to £9,000 per annum after their original applications were rejected by the Higher Education Funding Council for Wales. The HEFCW stated that the universities would be required to allocate a proportion of the new fee to the promotion of higher education and the encouragement of equality of opportunity. The cost of the new scheme could result in long term financial difficulties for university level education in Wales. In England, the fees will be paid directly to the university as a government loan. The university then recoups this loan from students following graduation. However, in Wales the government are planning to cover the increase by providing a grant to fund the difference between the current course fee and the proposed higher fee. Consequently, 75% of Welsh students will be unaffected by the increase as they will be in receipt of this government grant. The cost to the Welsh Assembly will be in the region of £1.5 billion and this explains why the Welsh Assembly is anxious to ensure the maximum return on this investment. The Welsh universities have until the end of June to submit their revised plans and a final decision from Higher Education Funding Council for Wales is expected on July 11th. Some commentators feel that the delivery of higher education requires a major overhaul. Issues of affordability, flexibility and inclusion can be tackled quickly by re-evaluating the way in which education is delivered. Face to face interaction at an attendance based university is a resource heavy, inflexible and expensive model that requires the provision of an extensive infrastructure. The physical classroom is no longer the centre of the educational universe, fact recognised by the collaborative partnership between The University of Hertfordshire’s and the Interactive Design Institute. Distance learning providers such as the Interactive Design Institute deliver their courses to students through an online learning environment where each student has their own studio and can communicate with their tutors and fellow students in a series of dedicated forums. And IDI is subject to the same rigorous quality assurance procedures as any institution. “All our courses have been especially developed for online delivery”, states Stewart, “But we are still reviewed annually and our students receive the same qualification as those attending the University of Hertfordshire”. “What we provide is choice” says Michael Stewart, “We offer our students the opportunity to choose what, when, where and how they study and their learning experience is tailored to meet their needs – online study enables us to be flexible”. This flexibility means that online study is inclusive; “We pride ourselves in providing the opportunity for everyone to study toward gaining a university degree. If you fulfil the entry requirements, you can study with IDI” says Stewart. “Because we don’t have to support a massive infrastructure, IDI is able to maintain its course fees at the same level as last year, fees that are already well below those charged by other universities”, says Stewart, “and students who study with us are able to apply for course and fee grants to help with funding”. Students Cloud platform supports a fundamental shift In the way Students, Parents, Teachers, Schools, Campuses, Colleges and Universities communicate and collaborate worldwide. The main features of Students Cloud are as given below. Tutorgiant.com Offers Online Video Lessons to Students 24/7. For the First Time, Students Can Learn Math and English Classroom Lessons On Demand With Internet Access. Tutorgiant.com presents a new format for online tutoring, The Ackerman Tutoring Method. Unlike traditional tutors, Tutorgiant.com enables students to watch classroom lessons in math and English before they receive the instruction in the classroom. Lessons can also be watched at home on the same days that the lessons are being taught in school. Also, students can watch and participate in the online lessons after the concepts have been taught and before tests. Tutorgiant.com provides about 400 videos, 500 worksheets, and over 150 tips for learning. All worksheets are taken up in the videos so students will be able to immediately correct their work, see their mistakes, and improve their skills. Whether it is fractions, geometry, algebra, reading comprehension, writing, or grammar, students will be better prepared for classroom lessons using the Ackerman Tutoring Method. “Whether you’re pulling your hair out over algebra or struggling with science, a unique, refreshing, and accessible new website, Tutorgiant.com, is trying to help students with on-demand instructional videos and accompanying printable worksheets. A site like Tutorgiant can really get a student up to speed…get some extra homework to help complement what kids have already received from their teacher. If you want your kids to excel in school, definitely have them check out Tutorgiant.com”. Tutorgiant.com also offers free online math and reading assessments, and free advice and tips so that parents can get an idea of their child’s weaker areas before it’s too late into the term. Launched by education expert, Stuart Ackerman MSc.Ed, Tutorgiant.com video lessons are all curriculum based. Mr. Ackerman has compiled curricula from North America and Europe to create all the math and English lessons that students receive in school. Members have unlimited access to all videos in every grade twenty four hours a day. The Ackerman Tutoring Method also caters to homeschoolers, students with learning disabilities, and students with different learning styles. Stuart Ackerman gives educational tips on the radio, television, and in the newspapers on a regular basis. He is certified in both the United States and Canada. Stuart Ackerman has his Masters Degree in Education and has over 14 years experience teaching and tutoring all grades. Brilliance Preschool & Academy provides an opportunity for local parents to get information on local news. There’s nothing more important than a child’s education. For over a decade Brilliance Preschool & Academy has been reaching out to the students in their community, helping pave their way to a better future through a blend of customized learning techniques. Now they’re sharing their knowledge and experience with the parents in the Dallas community with the launch of the Brilliance Blog. The Brilliance Blog being launched will give parents the latest headlines in Dallas daycare and education, along with a healthy collection of parent resources, including information on early childhood education and helpful tips for helping their children thrive both in and out of the classroom. The Brilliance Blog is the next step in reaching out and connecting parents and their children with the Dallas community. “Brilliance Academy is a change leader in the new millennium, providing an opportunity for…active parents to develop intellectual skills in children that will help them succeed in a competitive and global society,” says Kelly Mayberry, Director at Brilliance Academy. When Brilliance Academy first launched in January of 1996 the institution set-out not to be another Dallas day care. Over the years their commitment to excellence and their dedication to building a positive learning environment for their students have made them the premier early childhood education center for preschoolers and elementary students through grade 4. “Brilliance Preschool & Academy was founded in January of 1996 to fill a need for preschool education,” Ms Kelly Mayberry exclaims. In the following years, the institution added 1st – 4th grades based on the success of their original programs. Check out the Brilliance Blog at http://www.BrillianceAcademy.com/blog.htm and visit Brilliance Academy on the web to find more about their early childhood education experience at http://www.BrillianceAcademy.com. Fascinating Learning Factory (FLF), a non-profit organization and a leader in innovative, engaging educational programming for classrooms, television and the World Wide Web, has launched an entirely new website offering new on-line tools, information and links for students and educators, and better reflects the breadth and quality of its programs and initiatives. Another recent addition is 30 one-minute animated features called Facts of Congress, a fun way to teach civics and government. “I’m very excited“, comments Heather Boyle-Noland, Development Director at the ‘Learning Factory, “It’s a great new step we have taken to bring educational information to the web in a user friendly and engaging. We are also hoping it will drive new donors to visit us and get out our message of the critical need for higher quality and a broader reach of programming. The site was designed by, and is being maintained by Flashback Media Productions of Lafayette, Colorado. The Fascinating Learning Factory, a Colorado 501(c)(3), is dedicated to improving the quality of educational programming for ages 10 through adult. Some of their award winning, broadcast programs include “Guerrilla Guide to Politics, “Our Fascinating Earth”, and “Shoshone Voices, Native Choices”, a documentary about the Eastern Shoshone Tribe and their participation in the artifact identification program at the Smithsonian Institution’s National Museum of the American Indian. For more information, please visit their website, www.fascinatinglearningfactory.org, or call 303-545-9955. A breakthrough learning tool offers competitive benefits to students chasing improved qualifications to gain an edge in the ever tightening job market. The tool, PerfectNotes®, promises to enhance career prospects by increasing the learning obtained from every class or lecture attended. Developed by Utah based PerfectNotes® Corporation, PerfectNotes® software is designed for laptop use in classrooms and lecture halls. The first-to-market application offers a 3-view record of any talk or lecture. It provides benefits both in and after class, as well as later in studying for finals. PerfectNotes® cross links a real-time sound recording of each class with a visual timeline the student can bookmark at key moments and written notes he or she types as they go. The application ensures students leave every class with a dynamic record of what they have heard, thought and, most importantly, missed. “With so few openings in the job market, students need the best qualifications they can acquire,” says Rachel Rehm, Vice-President at PerfectNotes® Corp. The application, available as a downloadable free demo from www.perfectnotes.com, prices licenses at $29.95 to ensure availability to the widest possible range of students. National Lending Associates, Inc. (“NLA”) is formally announcing today the launch of its TuitionFlex SM tuition payment program. The TuitionFlex Program is a highly flexible and customizable tuition payment program for schools and colleges which currently do or do not offer this low cost financing option to their students and families. TuitionFlex is designed to be compliant with all federal and state Truth-in-Lending disclosure requirements. This turn-key program features a branded on-line application process, electronic signature, customizable reporting, automated payment processing and flexible servicing repayment terms. “NLA is excited to launch this additional financing option for schools and colleges while leveraging the experience and expertise of our management team. Our TuitionFlex Program was created as an alternative higher education financing option, which enables institutions throughout the country to provide effective financing solutions for their students during a time of economic uncertainly and limited private financing choices ” states Douglas Feist, Chief Executive Officer of NLA. The TuitionFlex Program offers payment products aimed at providing tuition financing solutions for K-12 schools, colleges, and universities. With its TuitionEase™ (less than 12 months), TuitionExtend™ (contracts greater than 12 up to 120 months), and soon to be launched TuitionExtend Plus ™ (contract purchase option) products, the TuitionFlex Program provides alternatives to meet the current demands of all educational institutions. For more information on the TuitionFlex Program go to www.tuitionflex.com or contact Tim Kulesha at tim.kulesha@NLALoans.com (602) 579-6555. About National Lending Associates, Inc.
Based in San Diego, California, with offices in Ohio, Arizona, Georgia, Pennsylvania, and New York, National Lending Associates, Inc., is a nationwide specialty service company focused on providing financing solutions, loan and portfolio administration services, and technology options for the education financing marketplace (www.nationallendingassociates.com ). CafePrevention.com announces the addition of two exciting, affordable, and new prevention products – the Fit for the Future Toolkit for preschoolers and childcare providers and the tobacco education resource, Smoking Makes Me Ugly program, for middle school students. In an effort to provide exceptional service, Community Partnership will do their best to accommodate those who need the prevention education resource order before June 30 for fiscal year deadlines. Community Partnership has developed their business around creating and supplying parents, schools, agencies and communities around the globe with a wide variety of tested and innovative prevention strategies and materials. Each product is both educational and eye-catching, and will engage the target audience, whether they are pre-schoolers, teens or adults. The Fit for the Future Toolkit is designed for children ages 3-5 and childcare providers. The childhood obesity rate for children in this age group has risen to 12.4%, and childcare providers offer the perfect setting to teach about, and encourage, healthy eating and physical activity habits. The kit includes a teacher’s manual, training DVD, children’s books, a movement CD, as well as games and activities to support children making healthy choices. Comments from childcare teachers have been extremely positive, and evaluations indicate the children are remembering what they learn and the cooks are changing what they serve. For middle school students, Community Partnership is proud to unveil the Smoking Makes Me Ugly DVD, a comprehensive youth tobacco prevention program. The target ages of 10-12 years old were chosen, as these are the ages the CDC has identified as at risk to begin tobacco use. Physicians, educators and students themselves were responsible for the content of the interactive DVD, and features include an animated tour of the body, hosted by Cig Free, the talking cigarette, showing how smoking affects teens; interactive lessons, including what smoking does to the outward appearance, and accompanying handouts and worksheets for teachers and students. Smoking Makes Me Ugly is a new approach to an old problem and has been enthusiastically received by teachers and student alike. Teachers report the tobacco education and prevention DVD is unique and unmatched by any other in its approach to educating middle school youth about the hazards of smoking. Both the Fit for the Future Toolkit and Smoking Makes Me Ugly DVD are designed to deliver critical information in an engaging and affordable format. CafePrevention.com is a community’s source for high quality prevention materials designed to improve the health and well being of youth. Café Prevention is full of postcards, games, bookmarks, door hangers, wallet cards and posters on substances of abuse and teen resiliency. Many have chosen our large postcard format over brochures, as they find it easier to read and it can be mailed or handed out. For more information on these products, or to place an order, please visit http://www.cafeprevention.com. You have read about it and heard it in the news – students in the U.S. are falling behind in test scores.. We need to get kids interested in science, technology, engineering and math – the STEM subjects. To get them involved you have to get their attention. Nothing draws more attention than a rocket launch – except a rocket contest. To that end we offer the national Reach for the Stars Rocket Contest. Rocket launches are great for publicity! Use the contest to advertise your presence, build your membership and / or raise funds. They are a terrific way to get kids excited about learning. Running a local event is as easy as 3, 2, 1. Three – find at least twelve contestants and order supplies. Two – build and launch your rockets. One – award certificates and prizes. A step-by-step video and on-line help are available to guide you. Compete locally. Celebrate nationally. The contest, for ages 10 to adult, is designed to be run by local organizations, is safe, easy and affordable. Everyone benefits. All contestants get a reusable Estes model as well as the unforgettable experience of launching a solid-fuel powered rocket hundreds of feet into the sky. Everyone involved receives a commemorative achievement certificate – suitable for framing. Each certificate bears an inspirational quote from Christa McAuliffe. Sponsors receive recognition and the satisfaction of Helping Kids Reach for the Stars. As Homer Hickam, author of “The Rocket Boys” (aka “October Sky”) recently stated, “What’s better than a rocket launch to inspire young people? They learn about science, engineering and, at the end, they get to launch a rocket.” Everyone remembers their first rocket launch. What other activity can you say that about? The contest is in its third year. It runs continuously and has annual deadlines for each celebration. Go to TheRocketman.net for deadlines and details. Our six national winners get memories to last a lifetime and bragging rights for generations to come! Results from local events are entered in the national contest. National winners get their choice of launching their rockets at the Astronaut Hall of Fame and celebrating at the Kennedy Space Center Visitor Complex – or they can celebrate with author, Homer Hickam and launch with the original Rocket Boys at the October Sky Festival in Coalwood, West Virginia. They will also receive a Space Shuttle Challenger – commemorative coin as well as other prizes. Tickets to the Astronaut Hall of Fame and Kennedy Space Center Visitor Complex for three national winners and their families are provided by DNC Parks. Lodging and breakfast is compliments of the award winning Country Inns and Suites by Carlson in Cocoa Beach, Florida. Without the generosity of these companies, the winners’ celebration would not be possible. Your efforts will promote the Helping Kids Reach for the Stars program and honor the legacy of Christa McAuliffe – NASA’s first Teacher-in-Space. Npower volunteers have returned Greendown Community School, one of the first schools selected to pilot npower’s ‘enthuse’ programme in 2007, the third consecutive year the event has taken place at the school. interactive activities designed to help them think about the impact science and engineering has on their daily lives. South Swindon MP Anne Snelgrove also visited the school to find out more about the programme. Enthuse, which is part of npower’s Brighter Futures Programme, is a five year scheme designed to inspire and engage students aged 12-14 years old in Science, Technology, Engineering and Maths. The students were encouraged to think of ways to improve existing products or design a completely new concept, before considering the very real problem of how we can meet and reduce the UK’s future demand for energy. These activities were followed by a ‘facts and fiction’ session where the students were given the opportunity to meet with engineering staff f r o m npower’s Swindon offices. Throughout the day, the students took part in a series of hands-on activities relating to the power industry. The day ended when the school’s Director of Specialism, Gill Sarjent was presented with an award, which recognised the continued support and efforts of the school towards the highly successful enthuse programme. In 2008 alone, npower ‘enthuse’ days reached out to over 3400 students across the UK. npower is one of the UK’s largest electricity suppliers and draws on 50 years experience in supplying electricity and gas. npower offers a range of essential home and business services to 6.6 million customers across the UK. RWE npower has been awarded the prestigious CommunityMark f r o m Business in the Community (BITC). npower is the only utility business, amongst 21 other companies in the UK, to receive this accolade. The CommunityMark is a new BITC standard which has been created to recognise companies that are good investors in local communities and who have brought about real and positive changes. The aim of the npower Brighter Futures programme is to inspire young people f r o m their first day at school to their first day at work. This is achieved by helping them to develop their skills and knowledge to make their own choices and empowering them to achieve their vision of a ‘brighter future’ for themselves and for the environment. npower Brighter Futures also includes our apprenticeship and graduate recruitment schemes. The Charter News is leading the information empowerment charge for California’s Charter Schools. The Charter News is currently the only statewide charter school newspaper in California, which caters to the charter school community. The Charter News is owned, operated, and published by David Morrow and John Hamilton, who are currently educators in secondary and postsecondary education respectively. According toMorrow, “the vision of The Charter News is to assist with empowering the charter school community in California”. The Charter News is a monthly publication, which serves the growing 750 charter schools in California. Moreover, The Charter News has the potential to reach over 350,000 students, educators, parents, community members, legislators, and vendors. The Charter News provides national, statewide and local community news, information about activities, academic accomplishments, legislation, and conferences. The Charter News believes in providing charter schools throughout California information, which educates and stimulates discussions from all levels of the charter community concerning our educational system. Morrow and Hamilton would like to invite educators, students, and community members to provide them with any news involving your region, school, students, and/or community to share with the California charter school community. The Charter News is committed to delivering world-class services designed to generate profound and measurable results for their members and subscribers who they consider family. Additionally, The Charter News provides a connection for local, regional, and national vendors who have a desire to build a relationship with charter schools in California with their goods and services. Readers are able to access The Charter News through subscriptions (hardcopy and digital) and bulk delivery directly to schools, institutions and homes. Charter schools can advertise for recruitment of teachers and educational staff. Vendors have the opportunity to promote new products or services with various size display advertising targeted at state, regional and local consumers. Join The Charter News with empowering each other with information and services. You are encouraged to visit and bookmark The Charter News website, which provides a digital copy of the publication at www.thecharternews.com and leave us a comment.